At age 92, my grandmother’s white hair grows faster than a celebrity can get extensions. She likes to shop for new clothes, but lately her style is something akin to the J.C. Penney version of Garanimals; matching shirts and pants with embroidered butterflies or hummingbirds. Her favorite pastimes are exchanging the new clothes for newer ones and getting her hair cut frequently. She loves for me to drive her to the store and salon, then out for lunch. She’s easy to spot. She drives a sleek walker with a custom red-and-black metallic paint job. And she goes fast, parting the crowd like Moses to get in line first or to get the last electric cart at the grocery store. The walker is too large for her, she’s only 4 feet 10 inches. It belonged to my grandfather; but when he died, she decided to take advantage of the situation. It empowered her. 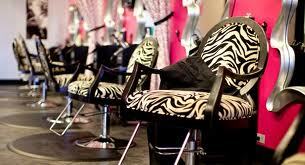 Salon owners hurry to assist her through the doors and to a comfortable seat. They take extra care to adjust the water temperature and compliment her thick, white hair. Regardless of how courteous the hair stylist is, my grandmother believes that nonagenarians have the God-given right to say whatever is on their mind. Grams takes full advantage of this geriatric endowment. The young beautician blushed and glanced at me. I gave her an apologetic look and mouthed, “I’m sorry.” She tried to follow my grandmother’s impossible requests, gave her a new-customer discount and the senior discount. Despite her best efforts, Grams had decided to not like it. Grams was a salon hopper, she would never go to the same place twice. When she said “Yes,” I was surprised. “For tomorrow, with that lady over there,” Grams pointed to another hair stylist who had been cutting someone’s hair across from where she had been sitting. As I ushered my grandmother outside, I looked back over my shoulder and apologized again to the young woman. “I don't like it. What do you think?” Grams asked, looking in the visor mirror. “I think maybe you should wait to insult someone until after they’ve cut your hair,” I chided. She laughed sheepishly. Nonagenarians can say whatever they want. I think her daughters will be just as fiesty at that age! Born: I was born before facebook, but after JFK was elected president. Well, I guess you could say I like going to school! Obviously, I have a very considerate husband who supports me in all my craziness and indulges me in my writing addiction. I have eight awesomely creative children, six sons and two daughters. My three oldest sons are married to wonderful young women. My oldest daughter is married to a great young man. I adore them all. I have five unbelievable grandchildren, all girls, including one set of triplets plus a set of twins and another baby on the way! I also listen to Jazz, the Tchaikovsky Symphony Orchestra of Moscow, Nat King Cole, Ella Fitzgerald, and a few others.